Our Own Airbnb Celebrity | Rocketship, Inc.
Did you know we have a celebrity at the Rocketship studio? 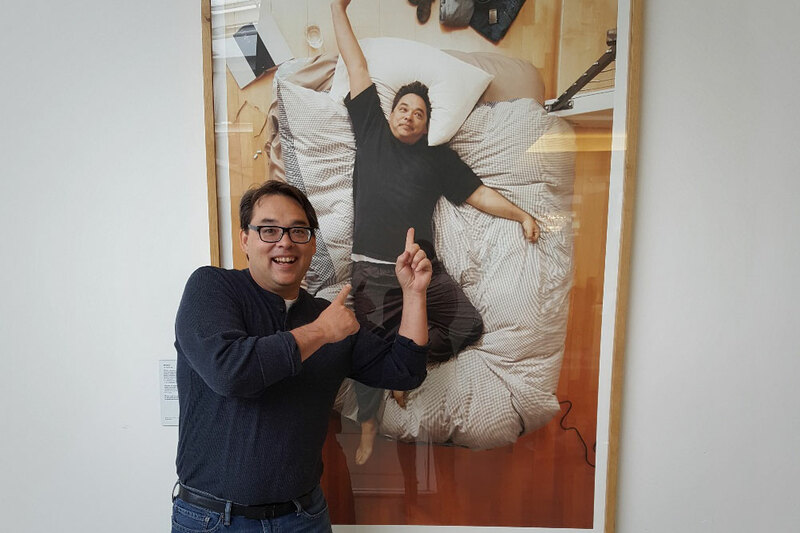 Our founder and director Michael Horito happens to be one of the first guests of Airbnb. Spending a night in the entryway of the Airbnb founder’s apartment, Michael became one of the three most recognizable guests around. 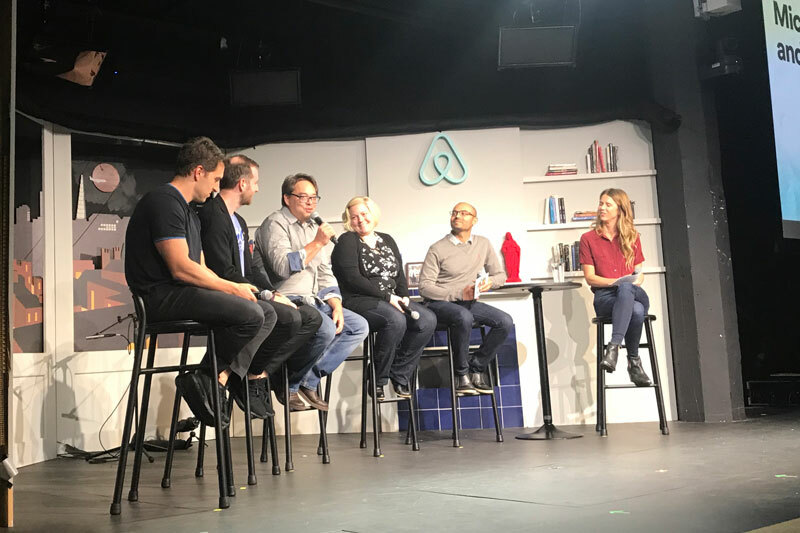 Michael was invited to attend the 2017 Airbnb Open as an honored guest and employees immediately recognized him just walking around headquarters. Having a almost life-size portrait in their studio probably helps. As part of the trip Michael participated in a panel to describe his experience to a crowd of attendees. But Micahel isn’t the only member of Rocketship to take advantage of Airbnb, it’s been preferred accommodation venue for a number of outings including out of town tradeshows and conferences. 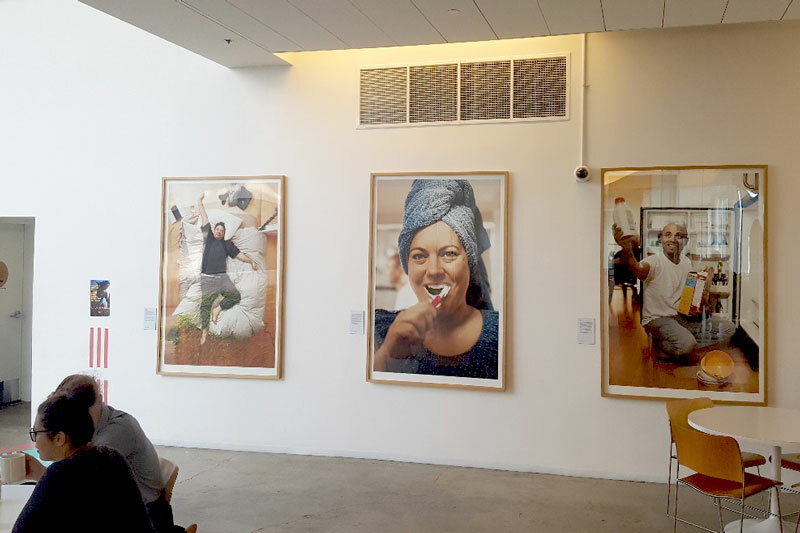 Portraits of the first three guests to use Airbnb hung at their headquarters. Michael sitting with Airbnb founders and two other first guests.